In this paper, Mark Noll — University of Notre Dame historian and author of The Scandal of the Evangelical Mind — looks at 15 of the attitudes, assumptions and convictions considered the most influential in inciting anti-intellectual sentiment among evangelical Christians. 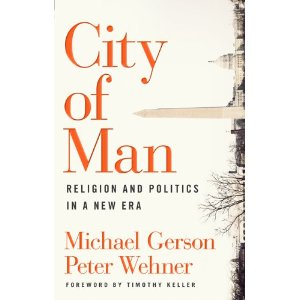 He also traces the historical background of when these ideas became prominent and suggests how they still affect contested issues of science and religion. In this white paper from the November BioLogos workshop, evangelical and renowned Old Testament scholar Bruce Waltke looks at eleven barriers that prevent evangelical theologians from accepting evolution as a possible means for creation and what we these barriers tells us about the tensions between science and religion perceived by many evangelicals. Waltke’s work is based on a survey forwarded to presidents of the Fellowship of Evangelical Seminary Presidents and their faculty, asking them to identify the reasons that they do not personally accept evolutionary theory. In this paper, considers three main clusters of questions lay people raise when they learn of anyone teaching that biological evolution and biblical orthodoxy can be compatible. Keller offers some ideas on how to provide responses that take these concerns seriously. 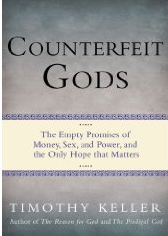 Author of The Reason for God and senior pastor of New York’s Redeemer Presbyterian Church, Keller asserts that the chaos of the global financial crisis offers a rare opportunity, as individuals and as a society, to discern the “glittering gods” that enslave us. “The only way to free ourselves from the destructive influence of counterfeit gods is to turn back to the true one,” writes Keller, mercilessly dissecting the things he believes keep men and women from acknowledging their sin and God’s love, grace and centrality.